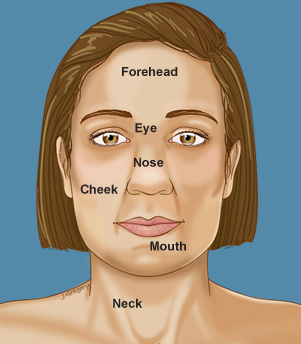 Someone you love has been to his or her doctor, and there is a suspicion of cancer of the head or neck. You may feel like you’re in a fog. Your life, and the life of your loved one, has changed in an instant. So what happens now? What can you expect as you move through this journey with your loved one? 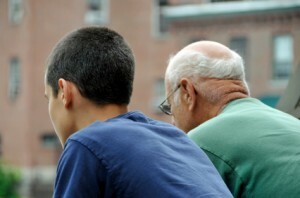 You have just found out a parent, grandparent, spouse or other loved one has cancer. You may feel angry, sad or afraid. All of these are natural reactions. Your loved one is likely feeling the same emotions. You may not have been told right away about the diagnosis, so you might be feeling betrayed or left out. Remember, though, your loved one was coping with his or her own emotions and may have wanted to spare you from having to go through the same. Because of that person’s own fear, he or she may have wanted to pretend life has not changed, that it will go on as normal. A person’s desire for normalcy is natural. Your loved one needs help right now, and there will be some changes. While cancer is serious and can be scary, it is fairly common and no one’s fault. Diagnosis of cancer and treatment regimens have progressed dramatically over the past 10 years and continue to advance rapidly, so there is hope for the person in your life who has head and neck cancer. Do not be alarmed if your loved one is unaware of your feelings about the diagnosis. He or she is dealing with a mountain of information, as well as his or her own emotions about the diagnosis.1Cardenal V, Cerezo MV, Martinez J, et al. Personality,emotionsand coping styles: predictive value for the evolution ofcancer patients. Span J Psychol. 2012 Jul;15(2):756-767. Do not hesitate, however, to ask questions and talk about how you are feeling. Keeping the lines of communication open between you and your loved one will help relieve your fears as well as help support the person with cancer. Do not ignore feelings of sadness, depression, anger or grief; these are natural and normal stages of coping with a cancer diagnosis in someone you love. Confide in someone you trust, such as an older family member or another adult who can help you with the emotions you feel throughout the journey. Confiding in a trusted adult will help you put things into perspective, while allowing you to work through the reality of the changes that are now coming quickly. Your loved one’s cancer diagnosis brings with it physical changes as he or she goes through the process of diagnosing, treating and recovering from the cancer. A person with cancer is in a tough battle. The fight will often begin with surgery, followed by other treatments to stop the cancer from advancing, possibly including chemotherapy and radiation therapy. Expect your loved one may have more than one surgery. Most cancer diagnoses and treatments begin with a biopsy, which is removal of small amounts of tissue from the suspected lump or bump to determine if it is cancer, what type and how serious it is. Following the biopsy, expect surgery to remove the cancer, perhaps followed by reconstruction to rebuild the area where the cancer was removed. The physical challenges to come can be scary and dramatic. Surgery is painful, so your loved one may need medication to control the pain and other medications to help sleep. Removal of cancer from the head and neck can also be disfiguring. Your loved one may never look the same way again and may feel embarrassed or ashamed by his or her appearance. You may be surprised by the new look, but it’s important to remember that your loved one is alive, regardless of the physical changes. Physical changes brought on by cancer and follow-up surgeries may cause the patient to have difficulty swallowing or eating. Your loved one may need to be fed through a tube for a time. He or she may have difficulty adjusting to the changes and will go through a grieving process for the loss of life as he or she knew it before the cancer; this part of the journey is normal and will get easier with time and your help, along with the medical professionals and other support people. You may find that you have physical changes too. Being emotional after a cancer diagnosis is normal. But letting your emotions rule every aspect of your life can lead you to stop caring for yourself, and that will just make matters worse for you and your loved one. Your physical, emotional and mental well-being are important to the person who has cancer because he or she loves you. Knowing you are not taking care of yourself physically or emotionally will add stress. Put simply, you must take care of yourself if you want to help the person you care about who has cancer. Day-to-day tasks will change through the cancer journey. Perhaps your loved one was the main person cooking meals, doing laundry or caring for children. He or she may have gone to work every day. Responsibility for grocery shopping or housekeeping will probably change. How can you help? If there are younger children in the home, you may be asked to help with their care. You may also be asked to help the younger children deal with the upcoming changes. It is important to find out as much as you can about how this cancer will change your daily routine and how best to help your family to cope, while ensuring you care for your own needs. If you have a driver’s license, can you run errands? If you do not know how to clean a bathroom, now would be a great time to learn. Your loved one may feel helpless to do anything around the house, but involving him or her in teaching you what to do is an excellent way for a task to increase the bond between you. On the surface, daily life will change, sometimes in big ways. The focus, though, should always remain on the one you love and how to best support him or her. Working together to find new ways to cope with daily life will help everyone settle into life going forward. Cancer is a difficult disease for everyone involved. Your loved one is going through the biggest challenge of his or her life. Head and neck cancers are often difficult to treat because they interfere with such vital parts of the body. Unfortunately, some do not survive the journey. It is difficult to think about the ultimate journey your loved one may have to take as a result of cancer, but it is important to deal with it honestly and openly, both for you and the one you love. Remember that at this time of your loved one’s life, your love and support are very important. It may be difficult for you in the coming days, but you are doing this for someone else, and the love and support you show now is very much appreciated. 1 Cardenal V, Cerezo MV, Martinez J, et al. Personality,emotionsand coping styles: predictive value for the evolution ofcancer patients. Span J Psychol. 2012 Jul;15(2):756-767. 2 Rosenberger C, Hocker A, Cartus M, et al. Outpatient psycho-oncological care for family members and patients: access, psychological distress and supportive care needs. Psychother Psychosom Med Psychol.2012 May;62(5):185-194. Epub 2012 May 7.